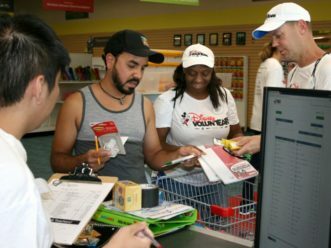 LAKE BUENA VISTA, Fla. November 18, 2018— Family VoluntEAR Day is a global day of service that celebrates the power of families who work together to support the communities in which they live. 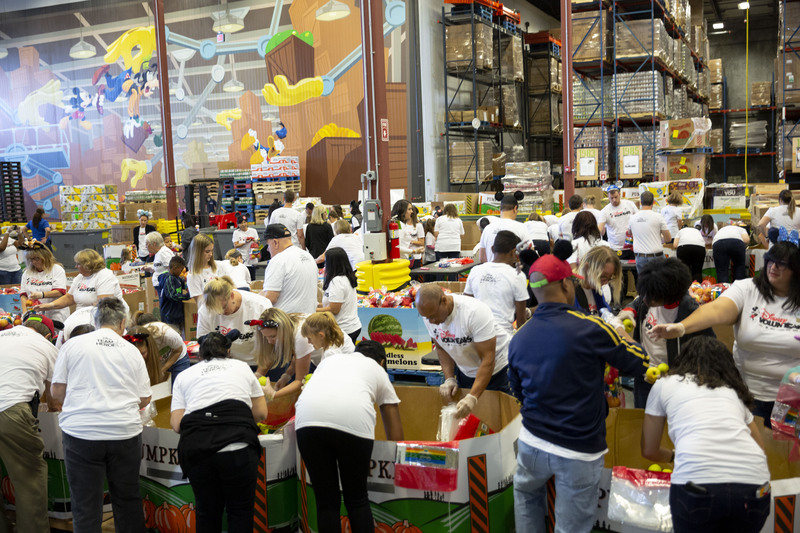 On Nov. 17, more than 150 Disney VoluntEARs, their loved ones, and the new 2019-2020 Global Disney Parks Ambassador team kicked off the holiday season of giving and continued to celebrate 35 years of the Disney VoluntEARs program by sorting and packaging 40,000 pounds of produce at Second Harvest Food Bank of Central Florida as part of Walt Disney World’s annual Family VoluntEAR Day of Service. 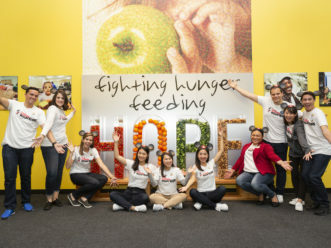 A recent $1 million contribution from The Walt Disney Company to Feeding America, a nationwide network of member food banks, enabled a gift of $15,000—or 40,000 pounds of produce—to Second Harvest Food Bank, which will soon make its way to the plates of Central Florida children and families with the help of Disney VoluntEARs. 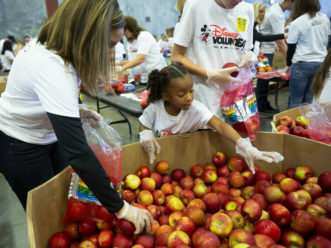 “Today’s event is in celebration of 35 years of Disney VoluntEARing, and it brought together multiple generations of families to sort fresh, healthy food for the community in support of the work of Second Harvest Food Bank of Central Florida,” said Rena Langley, senior vice president of Walt Disney World Resort Public Affairs. 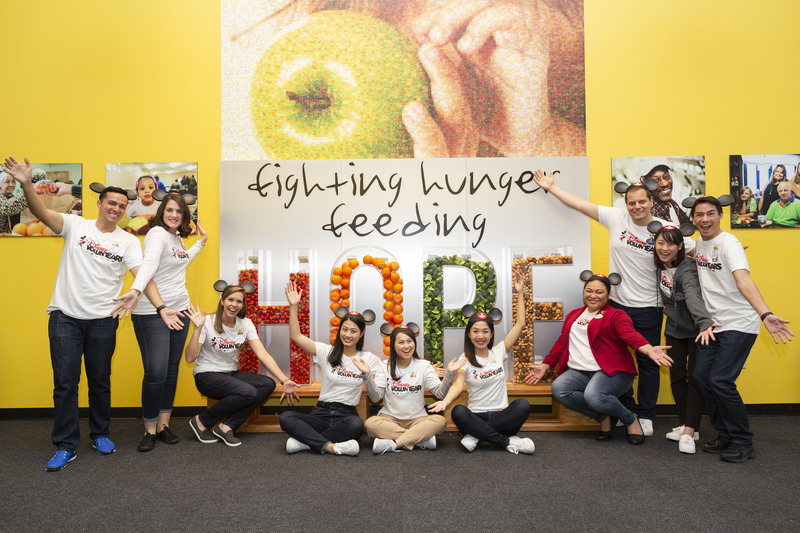 Disney has supported Second Harvest Food Bank for more than 25 years, and the day of service is part of an ongoing commitment to the Second Harvest mission of fighting hunger by feeding hope. 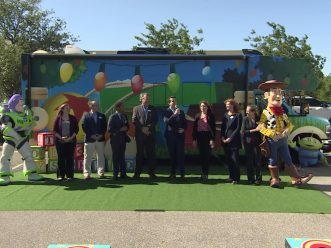 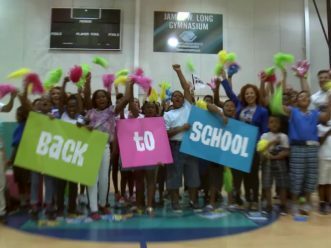 Earlier this year, Disney granted Second Harvest $100,000 for their Teen Market and Nutrition Program, offering nutritious and complimentary foods to secondary school students who need it most. 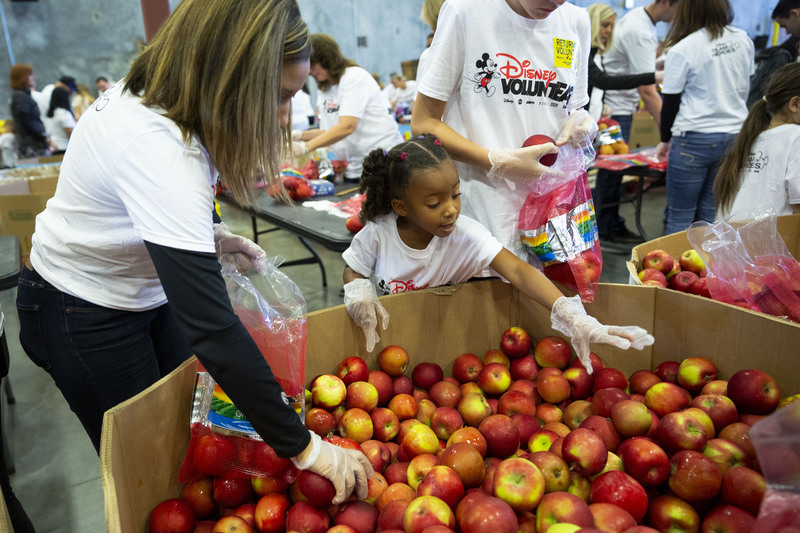 In addition, as part of the Disney Harvest program, deliveries of prepared and unserved food collected from across Walt Disney World Resort is delivered to Second Harvest-supported agencies, servicing up to 1,000 children and families each week. 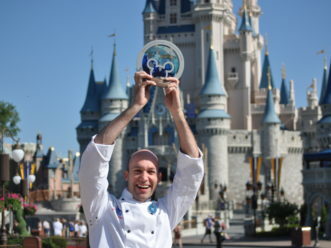 Walt Disney World Resort is committed to providing comfort, happiness and inspiration to children and families, collaborating with nonprofit organizations to bring positive, lasting change and comfort to the same community its 74,000 Cast Members call home. 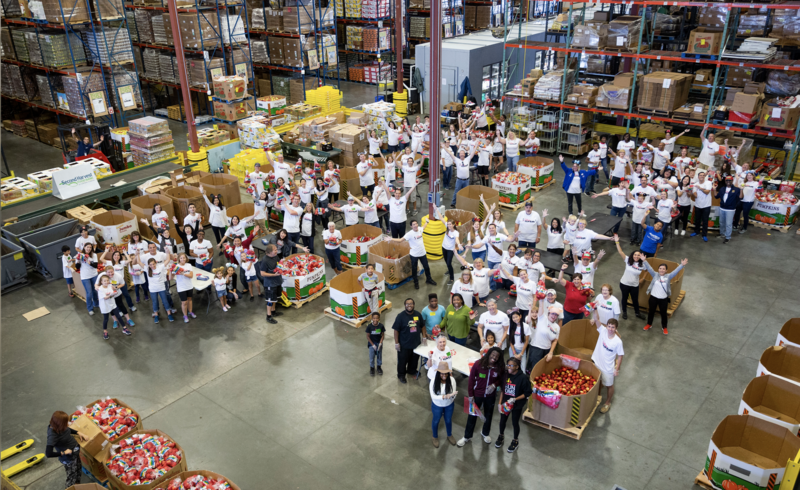 Feeding America is the largest hunger-relief organization in the United States. 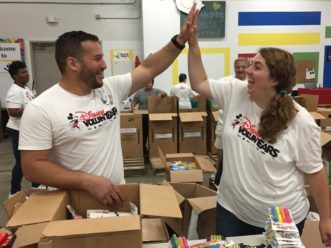 Through a network of 200 food banks and 60,000 food pantries and meal programs, the organization provides meals to more than 46 million people each year. 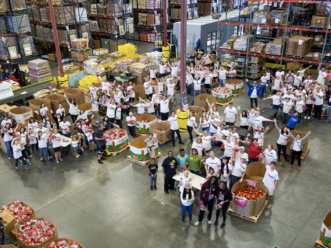 Feeding America also support programs that prevent food waste and improve food security among the people they serve, educate the public about the problem of hunger, and advocates for legislation that protects people from going hungry.